There are two reasons for a person to undergo nose surgery: Functional, for correction of septum deviation and other alterations that prevent good breathing and aesthetic, to correct external features that bother the patient. The procedures required to correct these changes can be performed together or in isolation. The nasal septum is the wall that divides the two nostrils and is composed of cartilage, bones and mucous membranes. Deviation of the septum is one of the major causes of nasal obstruction and may arise during the growth of facial bones in childhood or adolescence. It can also be due to injuries, such as car accidents or sports. Symptoms: Nasal obstruction; Sinusitis; Nasal bleeding; Oral breathing; Sleep disorders; Snoring and apnea; Headache and tiredness. The treatment is done by surgical correction, septoplasty, but is only indicated when the deviation brings symptoms and complaints to the patient. 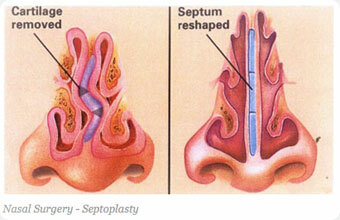 Septoplasty is surgery performed to correct septum deviation. Most often, we perform septoplasty under general anesthesia. 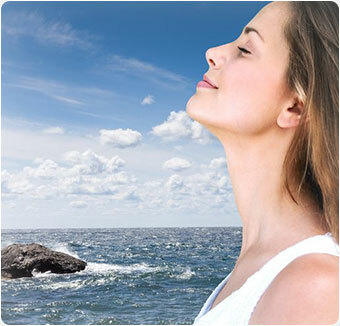 In simpler cases or retouching of surgeries already done, we can opt for local anesthesia with sedation.